Chicago’s recent triple-notch downgrade by Fitch Ratings is a stark reminder that Illinois’ inability to solve its pension crisis has consequences. 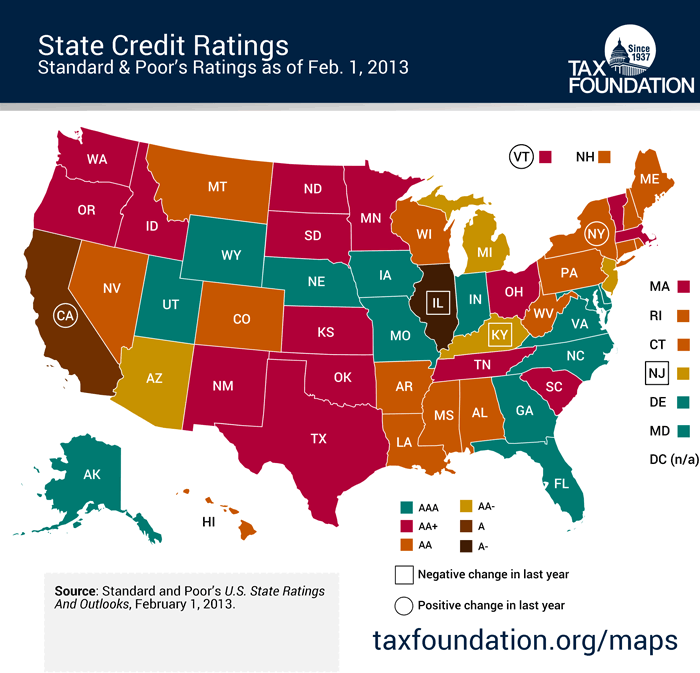 Illinois has the lowest credit rating of all 50 states. In contrast, three of its neighbors have maintained their AAA rating from Standard & Poor’s Ratings Services. Illinois has suffered 13 downgrades from the three major rating agencies since Gov. Pat Quinn took office in 2009. The state’s latest downgrades came in June when Fitch Ratings and Moody’s Investors Service downgraded Illinois to A- and A3 respectively. Illinois’ rating was downgraded twice by S&P over the last year and a half – first in August 2012 to A from A+, then in January 2013 to A- from A. The rating agency cited a “lack of action on reform measures” as a reason for both downgrades. Illinois clearly hasn’t learned its lesson since then. So far, the Illinois General Assembly’s only response to the state’s pension crisis has been to pass a pension “fix” for the Chicago Park District. That fix calls for a tax hike on city residents, forces workers to keep paying into a broken system and does nothing to change the way the city runs retirements for its city workers. Make no mistake: this bill is bad for city workers and taxpayers, and will only perpetuate the problem. There’s only one real way to change the rating agencies’ outlook on Illinois. And that’s to end defined benefit pensions and move to a system in which workers control their own retirements.